One of the amazing new Brands in Perfumery, Valeur Absolue, is launching for mother’s day a special offer with an exclusive Candle. 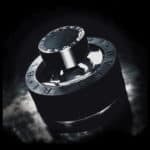 Valeur Absolue is a Swiss beauty brand with the originality of blending what nature and science have at its best to serve one and unique purpose: make women feel good and happy. Life is hard, so you should “do-you-some-good”. You can read our full review of the brand here. 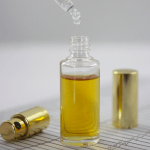 One of the interest of this brand is that the fragrances are as interesting as the story told. This sounds obvious but unfortunately it is not always the case among all the nice brands that were launched in the last 5 years. Here we have a brand in which every single detail is taken in consideration and the love of qualitative work is the philosophy. Valeur Absolue is a promise of well-being and pleasure. And each discovery in this brand will put a smile in your face. This year and to celebrate mother’s day, Valeur Absolue creates a very exclusive perfumed candle. Scheduled for 20 hours of burning, it was fashioned from beeswax and soy wax. So no paraffin or palm oil. A beautiful Orange blossom scent will magnify the perfect moment at home. When the candle is still off, an amazing intense white blossom scent emanates from it. Once the candle is on, you get a delicate scent of the orange blossom, slightly green, slightly white-musky in the air. You feel surrounded by a protective aura and you simply feel good. For mother’s day, and for each purchase of a Fragrance flacon, you can have the candle for free. It is a very interesting way to introduce the candle to the current Valeur Absolue customers. By offering them the opportunity to tryThe candle is delivered in a very elegant frosted-mate glass that will match any interior decoration. We were glad to discover this new launch as it reveals the aim of the Fragrance brand to develop a future perfumed candle line. It will be the perfect extension of the well-being philosophy of Valeur Absolue. In Switzerland you can discover this exclusive offer at Le Bon Genie and of course at the Brand official website: http://www.valeurabsolue.com. Last but not least, Valeur Absolue is a committed brand to improve the life of women around the world. Every year, by March 8th, which is the international women day, Valeur Absolue pick up a project supporting the cause of women and dedicates a percentage of its sales benefits. This year, Valeur Absolue has made a donation to encourage UNICEF educational programs for Girls in the world. 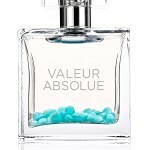 Valeur Absolue is definitely a brand you need to discover. There is no reason not to do yourself some goooood. Info sourced at the Brand official communication. All content is copyrighted with no reproduction rights available. Valeur Absolue Serenitude, peace in a flacon.